You are here: Home / Blog / Cosmetic Dentistry / Another Happy Patient with our Dentists in Cancun! 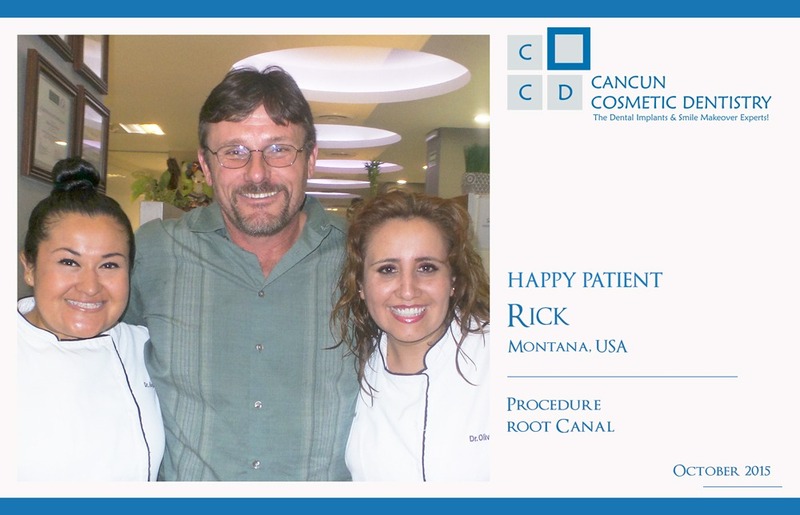 Today we will share with you Rick’s experience with our dental clinic in Cancun. He came all the way from Montana, USA for a dental vacation. Rick loves fishing, hiking and hunting so he’s very outdoorsy guy! He loved Cancun and took his time between appointments to go fishing, shopping and swimming with dolphins in Cancun. Rick needed to get some root canals done so after looking around for options he felt appalled to be given estimates of several thousands for the work. Then, he finally came across our web page and he realized he could get that done for a fraction of the price. Rick made up his mind and made plans for his dental vacation. Every single person I interacted with was very very friendly and considerate. The care was excellent and done fairly quickly. They have some very portable and also convenient x-ray equipment that makes that part of the procedure fast and convenient too. I would highly recommend this clinic and I feel like I have made many new friends here. I look forward to coming back to see them all again soon. Rick, thank you so much for trusting on the expertise of our doctors. We always try to make sure our patients feel at home. We will attempt to make this experience as smooth as possible for everyone. If you have questions or require some special information our customer service will be ready to assist you. Rick is pictured above with our dear Mexican Doctors Olivia Arriaga and Alejandra Lujan. Get a new white smile with the professional assistance of our dentists. If you want to know more about our dental services call toll free from USA and Canada 1-800-565-1424, or if you are already on vacation in Cancun and want to meet us, you can call us for an appointment at the following local number (998) 1-40-51-25. Where to eat in Cancun during your dental vacation?